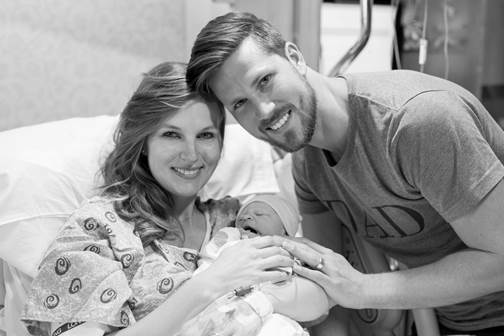 Curtis Rempel, one-half of Atlantic Records/Warner Music Nashville act HIGH VALLEY, is living the lyrics of the duo’s new single “She’s With Me” as he and wife Myranda welcomed a new member to the family over the weekend. Baby girl Millie June arrived Friday, April 7, joining big brother Ben (3) as revealed on High Valley’s Instagram account today. The family will enjoy a few quiet days at home before High Valley return to the road for headlining and festival shows. For more info: High Valley’s official website / join more than 250k @HighValley fans on Twitter / Facebook / Instagram.